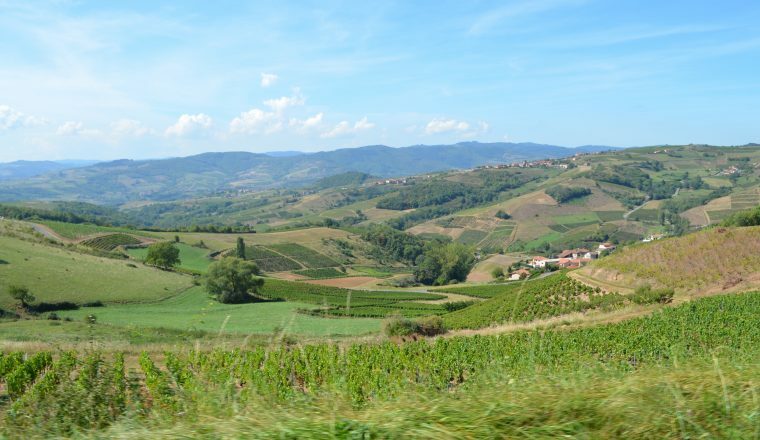 As well as its famous wines, the Beaujolais offers some very fine countryside, perfect for walking. As well as its famous wines, the Beaujolais offers some very fine countryside, perfect for walking. 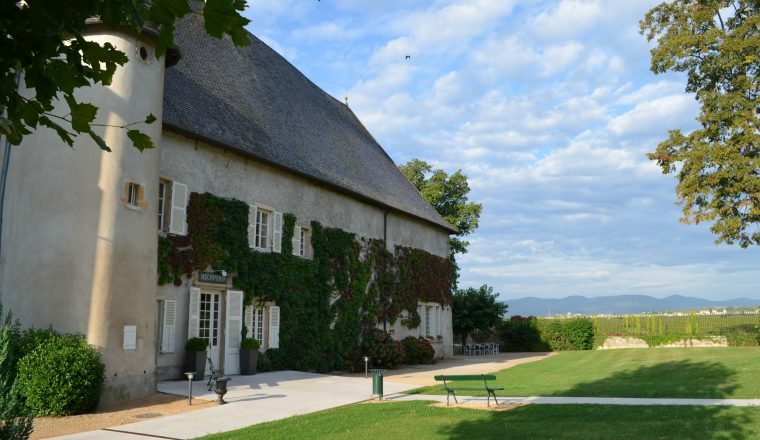 This route will take you through the “Crus du Beaujolais” region and then on the Crest route, a walk that permits the discovery both of the region’s wines, as well as its rich heritage. Valleys and rivers, hillside tracks and paths, groves and forests, stone walls, open countryside and many fine panoramas, as well as châteaux, churches and chapels, and old farms and mills. 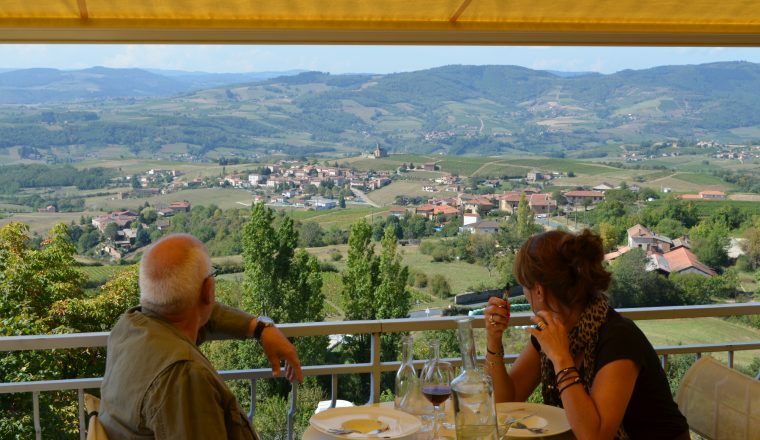 The Beaujolais not only offers good food and fine wines but also genuine conviviality in an unspoilt part of France. Arrive Juliénas, a name much associated with the wines of the Beaujolais. Overnight in hotel**. Today you follow the “Route des Crus du Beaujolais” via Chénas and Fleurie where you can stop and buy the local speciality of local salted meat. In Fleurie you will have a lovely panorama of the Val de Saône, the famous mill of the “Cru Moulin à Vent” and the Bresse and Dombes. You are expected in a charming Guest house which dominates the vine region and your evening meal will be in a nearby restaurant. Today you cross the vine area and the « Beaujolais Vert » (the forest region of the Beaujolais). Follow part of the “Route des Crêtes” (Rochefort) with its wonderful views Overnight stay in Régnié-Durette. Explore the Beaujolais at its most natural. Following the River l’Ardières, you will discover the “Mont-Brouilly” (Brouilly being the most southerly ‘cru’), before reaching the Perréon region. overnight stay in hotel*** in Perréon. After breakfast, you will set off for the famous village of Clochemerle which inspired Gabriel Chevallier for his picturesque book. 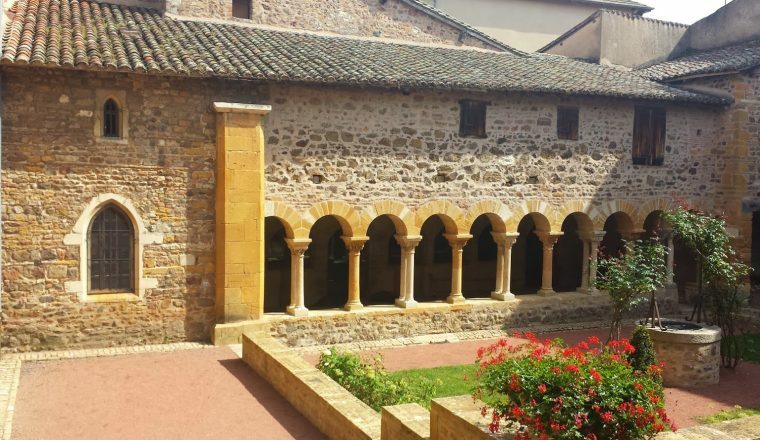 You will head for Montmelas and its famous medieval chateau… you will come to the region of “Pierres Dorées”, the prettiest area of the Beaujolais. Overnight stay in a guest house in Dénicé. Today visit some marvellous villages, with their châteaux: Jarnioux, Bagnols, Chessy and cross the valley of l’Azergues.